this past weekend living walls held a massive block party in our neck of the woods (east atlanta). Hubs and I rode our bikes up and made a day of it. 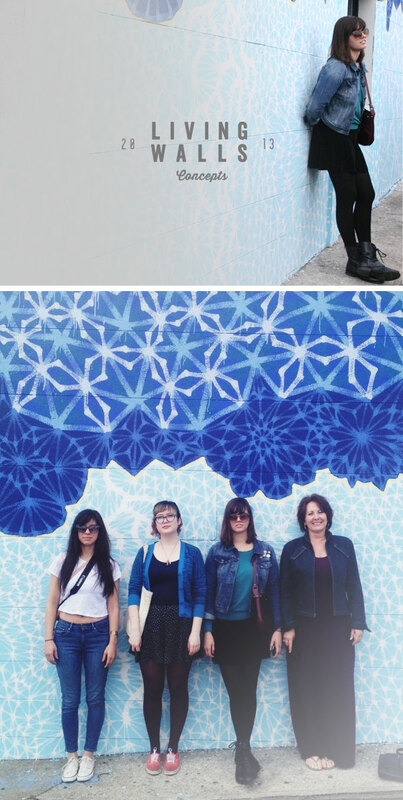 Our girl Molly did a super cool mural for the occasion which my beautiful sister is standing in front of in the image below. 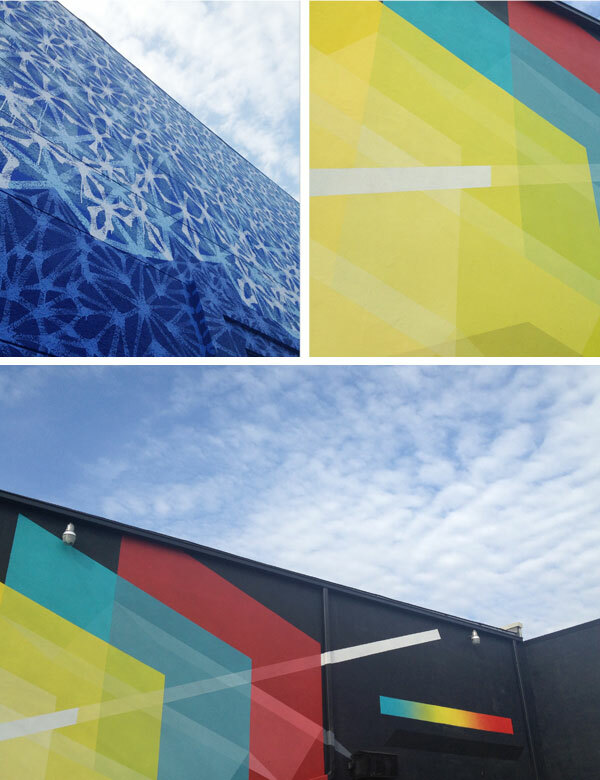 The geometric genius Derek Bruno did a massive mural as well, which is tucked behind the Graveyard. Check em' out! Our buddy Nathan from agent four eyes had a booth selling some super cool illustrations, vines, magnets and posters. 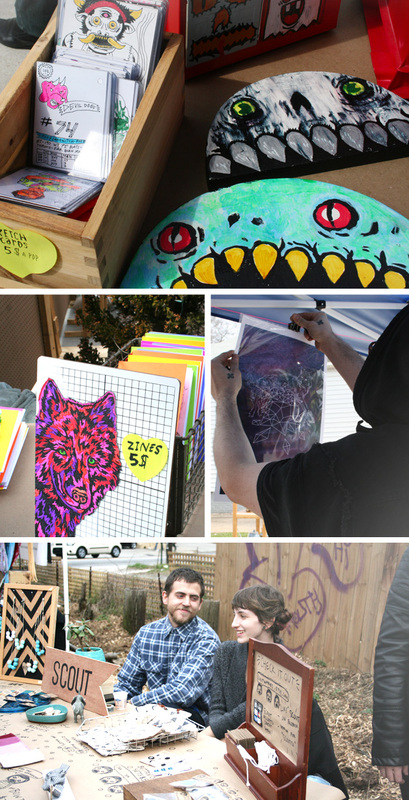 Some other notable vendors were native bear and scoutwares selling cool jewels and paper goods. There was plenty of beer and mingling with some super cool creative folk. I am loving this change in season, the weather was perfect! I was up there for a little bit...wish I would have ran into you guys!